In a previous article on this blog I discussed abduction, thinking and patterns (Berry 2012a), and consequently I have been struck by a provocative article written by Bruce Sterling about what he called the New Aesthetic (Sterling 2012). The links between this 'New Aesthetic' and questions over pattern recognition and the way in which computational models are imposed on the 'real' are very timely. the debate on the aesthetic of digital code has been predominantly focused, on the non-representational and non-functional performativity of coding and its infinite possible infractions (errors, glitches and noise), emphasising that it is precisely these infractions that give code its real aesthetic value... [or] the sensorial alterations or affects produced by technology on the human body-subject (Parisi and Portanova 2012). More so this aesthetic is concerned with the act of representing the digital within the more commonly analogue life-world that we inhabit in everyday life. The 'New Aesthetic' was initially introduced at South By South West (SXSW) on March 12th 2012, at a panel organised by James Bridle. It was called 'The New Aesthetic: Seeing Like Digital Devices' and was primarily concerned with 'giv[ing] examples of these effects, products and artworks, and discuss the ways in which ways of [computer/robot] seeing are increasingly transforming ways of making and doing' (SXSW 2012). A number of post panel write-ups have been made by the participants, including Bridle (2012b), Cope (2012), Davies (2012), McNeil (2012) and Terrett (2012). Bruce Sterling attended the presentation at SXSW, and subsequently discussed how struck he was by the New Aesthetic and how it went beyond a mere concern with computer/robot vision (Sterling 2012). concerns itself with “an eruption of the digital into the physical.” That eruption was inevitable. It’s been going on for a generation. It should be much better acculturated than it is. There are ways to make that stark, lava-covered ground artistically fertile and productive (Sterling 2012). I started noticing things like this in the world. This is a cushion on sale in a furniture store that’s pixelated. This is a strange thing. This is a look, a style, a pattern that didn’t previously exist in the real world. It’s something that’s come out of digital. It’s come out of a digital way of seeing, that represents things in this form. The real world doesn’t, or at least didn’t, have a grain that looks like this. But you start to see it everywhere when you start looking for it. It’s very pervasive. It seems like a style, a thing, and we have to look at where that style came from, and what it means, possibly. Previously things that would have been gingham or lacy patterns and this kind of thing is suddenly pixelated. Where does that come from? What’s that all about? (Bridle 2011a). The “New Aesthetic” is a native product of modern network culture. It’s from London, but it was born digital, on the Internet. The New Aesthetic is a “theory object” and a “shareable concept.”... The New Aesthetic is “collectively intelligent.” It’s diffuse, crowdsourcey, and made of many small pieces loosely joined. It is rhizomatic, as the people at Rhizome would likely tell you. It’s open-sourced, and triumph-of-amateurs. It’s like its logo, a bright cluster of balloons tied to some huge, dark and lethal weight (Sterling 2012). It was grand work to find and assemble this New Aesthetic wunderkammer, but a heap of eye-catching curiosities don’t constitute a compelling worldview. Look at all of them: Information visualization. Satellite views. Parametric architecture. Surveillance cameras. Digital image processing. Data-mashed video frames. Glitches and corruption artifacts. Voxelated 3D pixels in real-world geometries. Dazzle camou. Augments. Render ghosts. And, last and least, nostalgic retro 8bit graphics from the 1980s (Sterling 2012). The question that arises both for Bridle and for Sterling is: what is going on here? What does this aesthetic signify and what is its critical location? Sterling correctly, in my mind, rejects the notion of an aesthetic of the machines, or of computer vision etc, what has been called sensor-venacular elsewhere, equally rejecting a kind of hauntology of the 1980s (Jones 2011), or sensor-aesthetic (Sloan 2011, see also Ellis 2011, Gyford 2011). 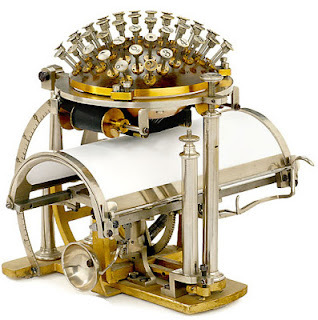 I also think that although the notion of 'computational value', introduced by Bernhard Rieder, is interesting in terms of political economy, it doesn't help us understand this aesthetic eruption (see Bridle 2011b). Nor does an explicit link between this new aesthetic and an object-oriented ontology necessarily help us understand this pattern aesthetic (Borenstein 2012, Kaganskiy 2012) although I agree with Battles (2012) and Reynolds (2012) that the new aesthetic poses a challenge for us to think about. a three-part rule, which expresses a relation between a certain context, a problem, and a solution. As an element in the world, each pattern is a relationship between a certain context, a certain system of forces which occurs repeatedly in that context, and a certain spatial configuration which allows these forces to resolve themselves. As an element of language, a pattern is an instruction, which shows how this spatial configuration can be used, over and over again, to resolve the given system of forces, wherever the context makes it relevant. The pattern is, in short, at the same time a thing, which happens in the world, and the rule which tells us how to create that thing, and when we must create it. It is both a process and a thing; both a description of a thing which is alive, and a description of the process which will generate that thing (Alexander 1979: 247). Patterns are also deeply concerned with computer pattern recognition, repeated elements, codes, and structural elements that enable something to be recognised as a type of thing (see Harvey 2011 for a visualisation of facial pattern recognition, below). This is not just visual, of course, and patterns may be recognised in data sets, textual archives, data points, distributions, non-visual sensors, physical movement or gestures, haptic forces, etc. Indeed, this points to the importance of information visualisation as part of the abduction aesthetic in order to 'visualise' the patterns that are hidden in sets of data. 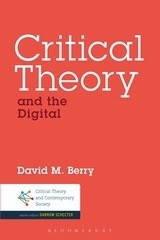 This is also a link between new aesthetic and the digital humanities (see Berry 2012b, Gold 2012). OpenCV Face Detection: Visualized from Harvey (2011). the aesthetic of soft thought precisely implies that digital algorithms are autonomous, conceptual modes of thinking, a thinking that is always already a mode of feeling ordered in binary codes, and is not to be confused with sensing or perceiving. Numerical processing is always a feeling, a simultaneously physical and conceptual mode of feeling data, physical in the actual operations of the hardware-software machine, conceptual in the grasp of numbers as virtualities or potentials (Parisi and Portanova 2012). The point I want to make is that the collections that Bridle (2012a) is making, are indeed symptomatic of an emerging aesthetic, and is somewhat haphazard and uncurated in as much as the objects collected are placed within a Tumblr blog that presents them to us as a stream of data – again significant in my reading of computationality (see Berry 2011a). It is also significant that the means of collecting these digital and pseudo-digital objects is through a computational frame, the collection made possible through new forms of computational curation tools, such as Tumblr and Pinterest (2012). The abductive aesthetic is therefore deeply influenced by and reliant on patterns and abductive reasoning more generally (see Berry 2012a). This I argue will be a common thread that links the lists of objects that seem to have nothing more in common than a difficult to reconcile and tenuous digitality, or perhaps a seeming retro towards older forms of digital rendering and reproduction. In actuality it is no surprise that we see a return of 8-bit retro – it could perhaps be described as the abductive aesthetic par excellence, inasmuch as it enables an instant recognition of, and indeed serves as an important representation for the digital, even as the digital becomes high-definition and less 'digital' by the day (see Jean 2010). As computation, and by definition its carriers, code and software, increasingly withdraw into the background of our experience, it is probable that we will increasingly see the foregrounding of a representation of, and for, the digital/computational. In some ways, 8-bit images are reassuring and still comprehensible as different from and standing in opposition to the everyday world people inhabit. In other ways, however, the glitches, retro 8-bit esque look that we see in pixelated works are actually distant from the capabilities of contemporary machines and their 8-bit blocky ontologies provide only limited guidance on the way in which software now organises and formats the our shared, and sharable, world (Berry 2011a). So ironically, just as digital technologies and software mediate our experience and engagement with the world, often invisibly, so the 'digital' and 'software' is itself mediated and made visible through the representational forms of pixelation and glitch. As the abduction aesthetic becomes more prevalent it will be interesting to see the exemplars of this form emerge. 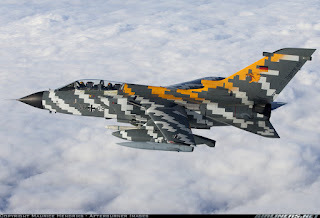 Whilst today we tend to think of the 8-bit pixelation, satellite photos, CCTV images, and the like, it is probable that alternative, more computational forms may prevail. I think it likely that skeuomorphic images will become increasingly common and may be the historical exemplar of our digital present, as indeed might skeuomorphic representations of older 8-bit technologies (such as enabled by MAME and other emulators) (see MAME 2012). Conceivably this also might lead to a form of cognitive dissonance with people looking for pattern aesthetics everywhere, understood as a form of apophenia, that is, the experience of seeing meaningful patterns or connections in random or meaningless data (called a type 1 error in statistics). Perhaps even further, people will seek digital or abductive explanations for certain kinds of aesthetic, visual or even non-visual experiences which may not be digital or produced through computational means at all, a digital pareidolia. Further, following Charles Sanders Peirce notion of abduction (Berry 2012a), we might introduce the concept of musement to describe the mode of thinking relevant to the aesthetic enjoyment of the abductive. Peirce defined musement as 'pure play' which is strikingly receptive and leisurely (Salas 2009: 468). It is "a lively exercise of one's powers" and yet "has no rules, except this very law of liberty" (6.458). Though musement is leisurely in that it allows the muser to assume different standpoints, it also involves deliberate observation and meditation. "It begins passively enough with drinking in the impression of some nook in one of the three universes [a primary universe of sensations or raw experience; a secondary universe of reactions to sensory data; and a tertiary universe of representations or signs used to relate the primary and secondary universes]. But impression soon passes into attentive observation, observation into musing, musing into a lively give-and-take between self and self" (6.459). While in a sense passive and receptive, musement is also that in which "logical analysis can be put to it full efficiency" (6.461). We might say that, while "musing" one is both "active" and "contemplative"... (Salas 2009: 468). It is striking the similarity between Peirce's notion of musement and the Greek concept of theôria or contemplation, which according to Aristotle was the highest activity of leisure. Indeed, Peirce distinguishes musement from 'reverie' or 'vacancy and dreaminess (Salas 2009: 290). This element of playfulness is extremely relevant to a discussion of the aesthetics of computationality, and indeed forms a large part of the new aesthetic that Bridle (2011) and Sterling (2012) describe. 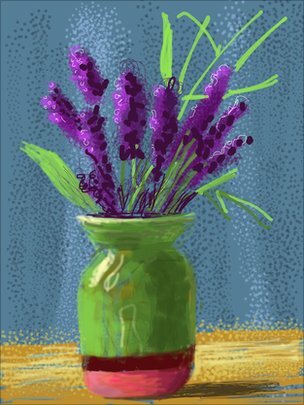 It is interesting to note that a properly distanced musement indeed seems possible towards the abduction aesthetic when mediated through the real-time streams made available through Tumblr, Pinterest, Twitter, and other digital asset/object streaming technologies. The original panel description read: 'Slowly, but increasingly definitively, our technologies and our devices are learning to see, to hear, to place themselves in the world. Phones know their location by GPS. Financial algorithms read the news and feed that knowledge back into the market. Everything has a camera in it. We are becoming acquainted with new ways of seeing: the Gods-eye view of satellites, the Kinect's inside-out sense of the living room, the elevated car-sight of Google Street View, the facial obsessions of CCTV....As a result, these new styles and senses recur in our art, our designs, and our products. The pixelation of low-resolution images, the rough yet distinct edges of 3D printing, the shifting layers of digital maps. In this session, the participants will give examples of these effects, products and artworks, and discuss the ways in which ways of seeing are increasingly transforming ways of making and doing' (SXSW 2012). Where computationality is understood as a specific historical time period defined by a certain set of computational knowledges, practices, methods and categories. Computationality might then be understood as an ontotheology, which Heidegger argues creates a new ontological ‘epoch’ as a new historical constellation of intelligibility.With the notion of ontotheology, Heidegger is following Kant’s argument that intelligibility is a process of filtering and organising a complex overwhelming world by the use of ‘categories’, Kant’s ‘discursivity thesis’. Heidegger historicises Kant’s cognitive categories arguing that there is ‘succession of changing historical ontotheologies that make up the “core” of the metaphysical tradition. These ontotheologies establish “the truth concerning entities as such and as a whole”, in other words, they tell us both what and how entities are – establishing both their essence and their existence’ (Thomson 2009: 149–50). Metaphysics, grasped ontotheologically, ‘temporarily secures the intelligible order’ by understanding it ‘ontologically’, from the inside out, and ‘theologically’ from the outside in, which allows the formation of an epoch, a ‘historical constellation of intelligibility which is unified around its ontotheological understanding of the being of entities’ (Thomson 2009: 150). Here I would like to draw attention to two interesting areas of study that focus on code and software, namely Critical Code Studies and Software Studies: (1) Critical Code Studies: critical approaches to the study of computer source code. Marino argues: 'that we no longer speak of the code as a text in metaphorical terms, but that we begin to analyze and explicate code as a text, as a sign system with its own rhetoric, as verbal communication that possesses significance in excess of its functional utility... In effect, [Marino proposes] that we can read and explicate code the way we might explicate a work of literature in a new field of inquiry' (Marino 2006); and (2) Software Studies: critical approaches to the study of software (as compiled source code), particularly large-scale systems such as operating systems, applications, and games. Alternatively this also includes the use of software to study other things, like culture (see Manovich 2008), which Manovich calls Cultural Analytics (Williford 2011). It might also entail the study of the use of software historically (see Ensmenger 2010). One important aspect of this is to focus on computer/technical systems within society and culture - for example the Internet, the email system, mobile data, the HTTP protocol, etc. Pareidolia involves seeing importance in vague and random phenomenon, for example a face in a random collection of dots on paper. By 'digital pareidolia' I am gesturing towards seeing digital causes for things that happen in everyday life. Indeed, under a regime of computationality in the future it might be considered stranger to believe that things might have non-digital causes. Thus apophenia would be the norm in a highly digital computational society, perhaps even a significant benefit to one's life chances and well-being if finding patterns becomes increasingly lucrative. Here we might consider the growth of computational high-frequency trading and financial systems that are trained and programmed to identify patterns very quickly. Alexander, C. (1979) The Timeless Way of Building, Oxford: Oxford University Press. 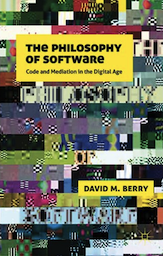 Berry, D. M. (2011a) The Philosophy of Software: Code and Mediation in the Digital Age, London: Palgrave. 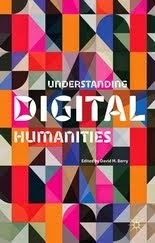 Berry, D. M. (2012b) Understanding Digital Humanities, London: Palgrave. Ensmenger, N. L. (2010) Computer Boys Take Over, Cambridge: MIT Press. 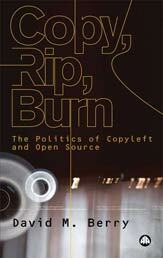 Gold, M. K. (2012) Debates in the Digital Humanities, University of Minnesota Press. Jameson, F. (2006) Postmodernism or the Cultural Logic of Late Capitalism, in Kellner, D. Durham, M. G. (eds.) Media and Cultural Studies Keyworks, London: Blackwell. Salas, E. (2009) Abduction and the Origin of "Musement": Peirce's "Neglected Argument" for the Reality of God, International Philosophical Quarterly, Vol. 49, Number 4, Issue 196. Danger and the Promise of Heidegger, an American Perspective, In Jan-Kyrre Berg Olsen, Evan Selinger, and Søren Riis (eds), New Waves in the Philosophy of Technology. New York: Palgrave Macmillan, pp. 146–66. What Is the "New Aesthetic"?